Do your kids take music lessons? I highly value the musical arts, but private lessons can be so expensive. I am also hesitant to add another ‘thing’ to our weekly schedule that we have to travel to and work around. That is why I was extremely excited to review Guitar 360 Method‘s online guitar lessons. Both the Absolute Beginner course and Semester 1 are taught by Krisz Simonfalvi, who is an excellent, engaging teacher as well as a very talented musician. He teaches in a cyclical pedagogy, having students continually reuse the skills they’ve learns so that they don’t forget it. If you have never touched a guitar, you will want to start with the Absolute Beginner Course. Each week has a series of short instruction videos, each under 8 minutes, where you learn the basics of playing the guitar, from learning the parts of the guitar and how to tune your instrument to chords, chord progressions, and how to strum. Practice lessons guide you through the different techniques. By the end of three weeks, you will be able to show off your new skills while you play a full song along to a video soundtrack. The two bonus weeks teaches you two more songs: Journey’s ‘Don’t Stop Believing’ and an upbeat Gospel song ‘Rejoice.’ You really feel like you are playing and having fun, too! Semester 1 is a 13-week course aimed at those who completed the Absolute Beginner course or those quick studies who are extremely motivated to learn. It continues to lay a solid foundation through more instruction videos by setting goals, outlining practice to gain technical skills, and listening/composing by ear. Quizzes are given on chords and other knowledge taught to help test your retention. Throughout the semester, you will be practicing everything you’ve learned so you won’t forget and you will increasingly become a better guitarist. There are some other very helpful features available. As you complete lessons and videos, check marks and progress bars are displayed by each completed or partially completed section. At the bottom of each video is a comment section where you can ask the teacher questions and interact with other students. Although aimed for those fifteen years and older (and perhaps those a little younger who are driven and highly motivated to learn), I wanted to do this with my children who are 9 and 6, knowing they might not absorb everything yet. We sat down together and watched several lessons together and followed the practice videos. We did have fun, but as I suspected, my kids soon reached their absorption point, so although they continue to practice the beginning skills to mastery, I continued on my own. The videos are engaging and short. As I continue to practice, I can see progress, which builds my confidence and understanding of my new instrument. 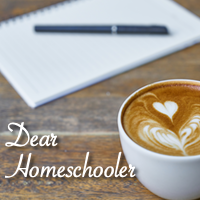 For a limited time, Guitar 360 Method is offering a 20% off discount to all Dear Homeschooler readers. Just use the code HOMESCHOOL20 when checking out, and you’ll get the Absolute Beginner and Bonus material plus Semester 1 for $149 $119.20. Have you tried the online Guitar 360 Method? I would love to hear about your experience. Comment down below. If not, I highly suggest taking advantage of the 20% discount. What a great idea for Christmas! Pumpkins, Cookies, and Spiders, Oh My!